Remember, it’s all about the existing backup, and you’ll restore your backup later, after successfully changing the Main Server. That is not difficult and everybody can do it. But if you install your backup with your former configurations-Servers etc, it will need some corrections after the backup install is finished, and for example, all your Clients, Servers ( and your Old Main Server) will be in again after you install your backup. I’ll try to explain what that’s all about and show different examples. Changing the Main Server sounds and looks pretty easy, piece of cake, right? But let me tell you, it’s not! Be absolutely sure about what you are doing before. 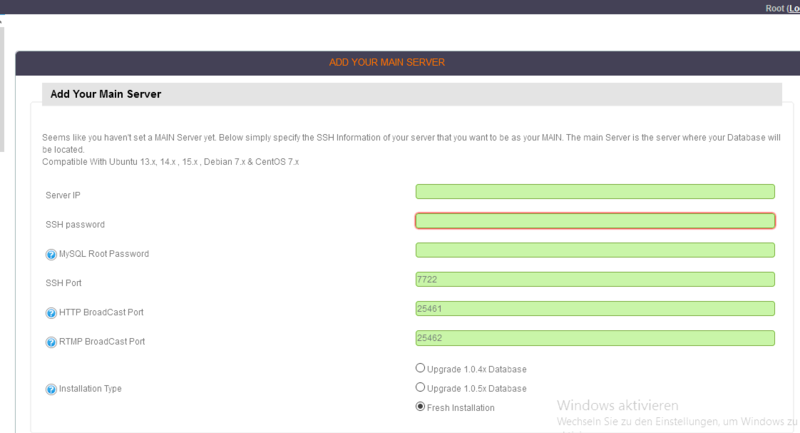 We start with “Manage Server” left side in the Panel. Step 2: Do a fresh automated backup on Xtream-Servers. Step 3: Take your time to think about your scenario! What do you want to do? Changing to a brand new Main? Formatted the old one only? Making an Existing Load balancer Main now? Do you see? Different procedures. It needs different preparing on this step of the game. You have to think about the existing BACKUP, with all your clients and streams in, right? Or you want to lose them? I guess not. Again, think about, that the backup and later installing of your backup contains all your streams, clients etc…but also the old Server configurations. A warning pops up, asking, “Are you Sure”? Press OK, and you see that Databank with all your Values is restored. And after successfully installing the new Main (if he is a brand new one), and installing the Backup then after, you Main will show the former IP of your Main, cause he was still in the installed backup in! No problem at all, simply go edit Main-Server, insert again IP and SSH Root Password, and right SSH port, commonly Port 22, if you don’t change it in your New Main. It is possible, that you have to have to repeat this action with remaking all Load balancers. But be assured, it will work. Scenario: We want a running Load balancer as a new Main Server! The right now “running” Main we want to send in retirement, right? This example requires that you have a few Load Balancers up and running. In case you have only 2 dervers in total, it’s not so complicated at all. Like I said above, each scenario is different. There are Admins with 20 or more Load balancers, and there are small ones, with 2 or 3 in total. Step 1: You go to TOOLS left Side, and transfer temporarily all streams from the future Main Server to another Load balancer of your choice! That’s how I have done it, not sure it will work later if you go another way, letting the streams on the future Main (the Server is a LB right now), but we have to delete this Server later out of the Panel configuration to make him Main! Reason: After we push the Remote-Backup back in, he will appear as a Load balancer again, and we can’t make him a Main Server without deleting him in the Panel. After you’ve transferred your Main Server’s streams to another server, check first, the Main is really empty, it will need sometimes 1 or 2 or more minutes, depending of the quantity of your transferred streams. Now we have an empty Main, it’s the one, we do not need anymore after. 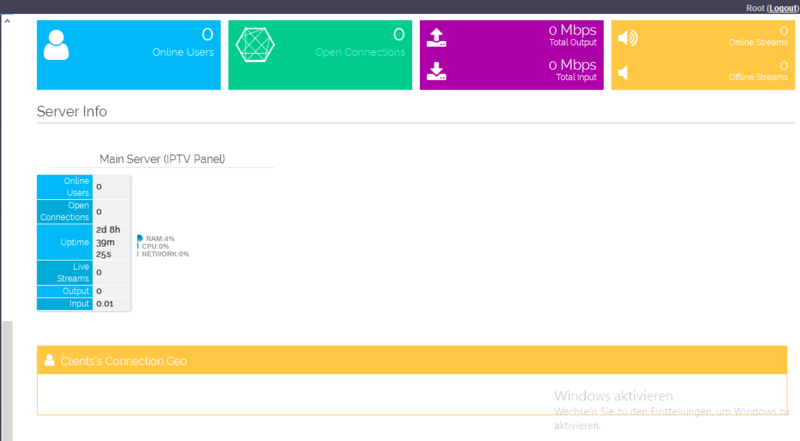 We have also to transfer the streams from the Load balancer we want as a NEW MAIN, making him completely empty. No streams on it. We do the same with the Load balancer we want as Main now! We are transferring his streams to another Load balancer the same way we have done before with the Main who has to go. We do a REMOTE BACKUP after we transferred all streams, and to be on the safe side, a manual Backup to your Computer as well. 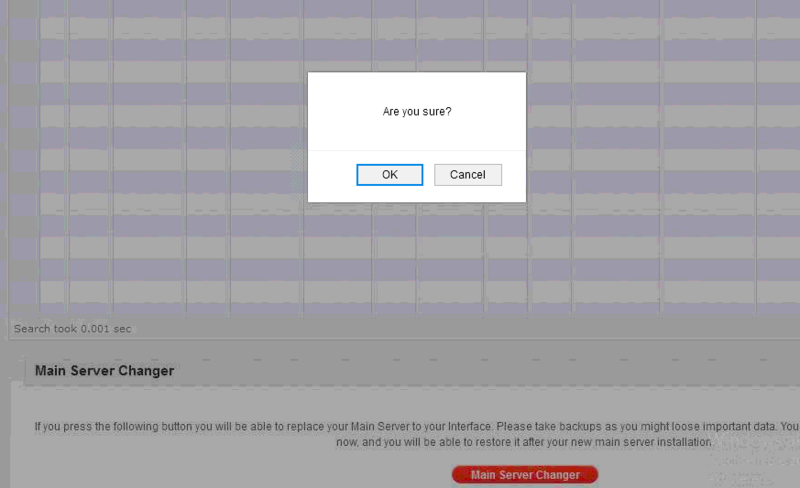 First, you press BACKUP DATABASE (the Backup File will load down to your computer), and directly after, we press REMOTE BACKUP NOW (Backup is loaded into Xtream Codes Server). Let’s summarize what we have done. After that, we go MANAGE SERVERS-EDIT SERVER-DELETE SERVER. 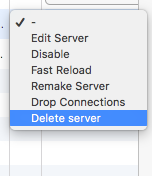 We delete the Load balancer we want as NEW MAIN. Now we can press the Button Main Server Change. All necessary follow up’s standing already in Part 1 above! Just in case you forgot or out of whatever reason you prefer to do a manually “load” of your saved databank backup, it’s also possible with phpmyadmin later. In case you cannot do, open a ticket, XC is happy to help you out! 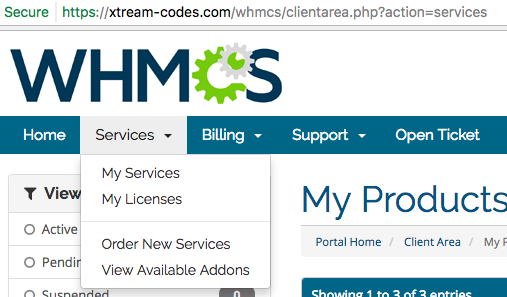 Don’t forget, Xtream-Codes support is not open 24/7! And one of the most important last steps, after successfully installed the new Main, don’t forget to switch the old former MAIN OFF! Switch him off, or make a new install! and sure you have to sort out your streams later, balancing them again. In all other cases, like you have only 2 Servers, the procedure is similar and not complicated, cause of your limited streams, and clients. This example was written in case you got a few more Load Balancers running. Don’t hesitate to open a ticket in case you are in trouble, Xtream Codes will help you in any cases.